With over 140 years of experience, Shiseido creates premium products developed with the most advanced technology and the best of nature. 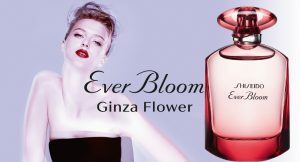 In Japan, a taste for perfume and the aesthetic appreciation of fragrance are considered to be a major expression of sensitivity and refinement. The House of Shiseido is infused with this tradition and shares this philosophy by proposing fine perfumery that is first of all an experience, a manifesto of boldness and an artistic commitment.